This month’s Discuss & Do is an interactive session full of practical advice on how to protect your business from cyber-attacks. 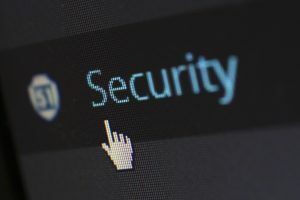 When considering information security for your business the potential cost, time and expertise needed to solve some of the problems can be overwhelming. But as organisations continue to suffer data breaches and security threats, it’s important to do what you can to avoid hitting the headlines for all the wrong reasons. On 26 February, IT Security expert Rik Kershaw-Moore of Tsiolkovsky IT Security Solutions will present an eye-opening demonstration of the latest internet scams and security threats. He will then explain what practical steps can be taken to protect business and personal data. Attendees will gain a general overview of the main tactics used by attackers and learn simple, inexpensive actions to safeguard themselves and their business. The evening will include an interactive session so those attending should bring a laptop or i-pad to take part in the exercises. The Discuss and Do events are organised by Frome and District Chamber of Commerce, Frome Town Council and supported by Enterprise Mendip and are open for all local businesses, charities, and social enterprises. This month’s event will take place at 6pm on 26 February at The Old Church School. It’s free to attend, however, registration is essential here.